This one is for those breakfast skippers and those who like to sleep a lot. Eating food restores our energy and helps our bodies function at a higher level. Although what we eat is important for good health and energy, growing research shows it’s not the only factor. In our bodies, we all have circadian rhythms. This internal clock knows when to eat, sleep, or wake up. Altering this system causes problems for our bodies, including weight and metabolism issues. Today, we will look into how our bodies’ inner rhythm can affect our diet. Binge eating food when you skip or miss a meal is not a way to keep your clock ticking normally. There are many metabolic processes that run on your inner clock in your body including your appetite, digestion, and the metabolism of fat, cholesterol, and glucose. Eating abnormally makes your body have to work more and at irregular times. This disruption in your circadian rhythm can lead to weight gain and other side effects. Those mini snacks you have throughout your day can be causing a ripple in your bodies circadian rhythm. The finding of an inner clock was amazing, but with our new knowledge, we know your body is built with a collection of them each having a different task throughout your daily activity. How do we get our internal clock working correctly again? Eating earlier in the day has a better consistency in controlling blood sugar and burning calories and keeps your clock on track. Avoiding midnight snacking can help avoid weight problems as well as throwing your clock off. By controlling when you eat and limiting it to before around 8 pm, you can help your body get back into its normal time schedule. Going to sleep at normal hours and getting a full 8 hours of sleep can help provide your body ability to adjust any off clocks from throughout your day. If you’re a person who likes to sleep in, it might be time to start waking up earlier. 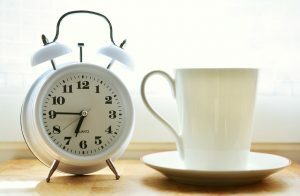 Research shows that the earlier you get up your body has more time to get key functions working properly. It’s also important to get a lot of natural light which aids the circadian rhythm. We hope with these tips you can get your body right and fix your circadian rhythm!